Barrow began as a student pilot project at Mount Royal University (MRU) by Ryan Wenger. 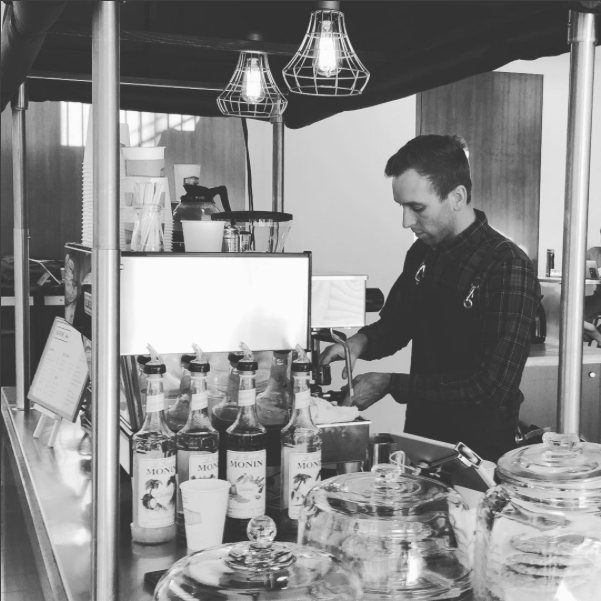 With a long standing goal of opening a cafe, Ryan worked as a Barista for over ten years at a number of cafes from Calgary, Alberta to Sydney, Australia. Also a licensed heavy equipment technician, Ryan used his mechanical ability to repair used and discarded high-end espresso equipment. It took years of effort to find and refurbish old coffee grinders, espresso machines, and coffee brewers bringing them back new condition. With all his equipment ready to work, he set out to find a cafe space. The search was difficult but MRU took a chance on the aspiring entrepreneur and offered him a space in the Bissett School of Business to operate a cafe a build his business. Ryan started Barrow Espresso & Tea in the summer of 2016 at MRU and has found success in his unique business model.